I have just finished watching Barbra – The Music..The Mem’ries…The Magic on Netflix. It’s a wonderful review of a long and successful musical and acting career filmed during a concert in Miami in 2016. What I was not expecting, however, was the last few minutes of the film which are a musical tribute to Barbra’s dog, Samantha (Sammie), who passed away in 2017. Even if you don’t like Streisand’s music, you should fast forward to the end and see it for yourself – a fitting tribute to a much loved pooch. Followers will have to forgive me for taking so long to see this film. In my defense, I have tried to view it since the film came out in 2010. I made contact with the filmmakers at the time and there we no screenings in New Zealand that had been planned. Our local independent cinema chain never responded to my enquiries (by phone and email) to show the film and then we had our big earthquakes of 2011 which not only destroyed our arthouse cinemas, but also took my attention away for a considerable time. I have finally managed to watch the DVD while visiting relatives who rented it on Netflix. I’m so glad we did. It was everything I hoped it would be. 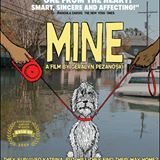 This award-winning documentary follows the story of pet owners who were separated from their animals during the haphazard and uncoordinated evacuation of New Orleans in 2005 before Hurricane Katrina hit with full force. The animal rescue efforts were undertaken by many volunteers, but without infrastructure for central coordination. This film tells the stories of Bandit, JJ, Precious, Max and other dogs and their owners and their fight to be re-united. Be prepared with tissues – some of the footage and stories are heart-breaking; others joyous. Hurricane Katrina taught us a lot about animal disaster planning and I hope we never face a catastrophe on this scale again. My friends at Best Friends Animal Society continue to care for some Katrina survivors today. Their numbers are, of course, dwindling with time. If you have a Hurricane Katrina story to share, please reply to this blog post.